Gigantic feet. New sandals. Bullies. Pete’s feet don’t stink, but being made fun of sure does. When the teasing at school becomes too much, Pete’s daily visit to the woods becomes more than just a fun detour. Empathetic friends encourage him back to the playground, but will his new plan to quiet the bullies actually work? 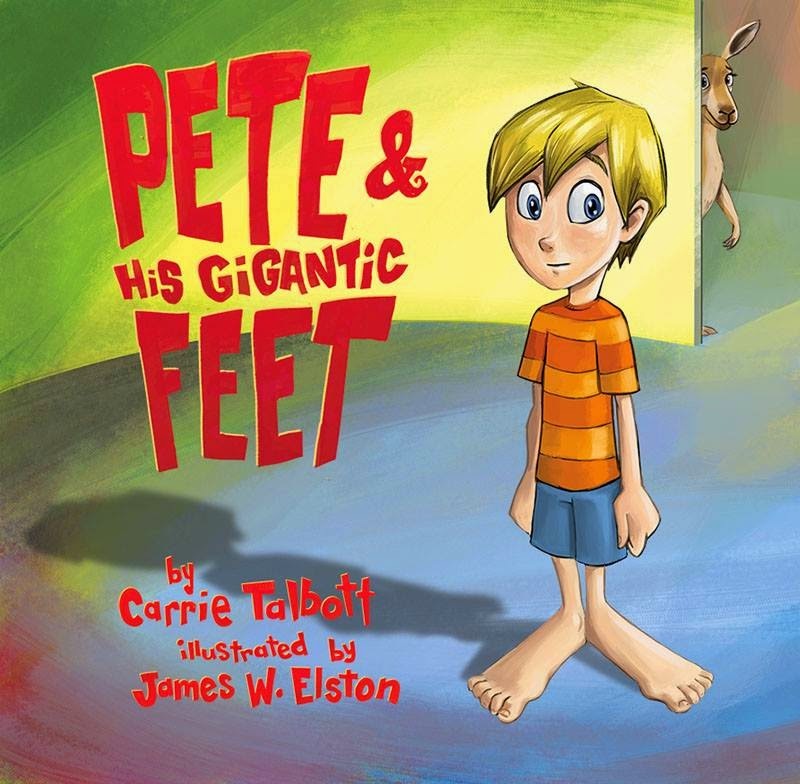 Pete and His Gigantic Feet is a picture book for children ages 4-8 who have felt the effects of bullying, and for every friend who wants to lend a hand. Or paw. Special Offer: When ordering, please make sure to include who you’d like your book signed for. I would love to personalize it for you!